Designed to prepare financial analysists, technology transfer professionals, IP managers, licensing managers, inventors, patent lawyers, and other business development managers with the necessary skill sets to value patents, the CPVA Program also immerses the participants in the Patent Valuation GauntletTM, a proprietary mark as the world's most thorough methodologies for assessing the strength and value of patents. 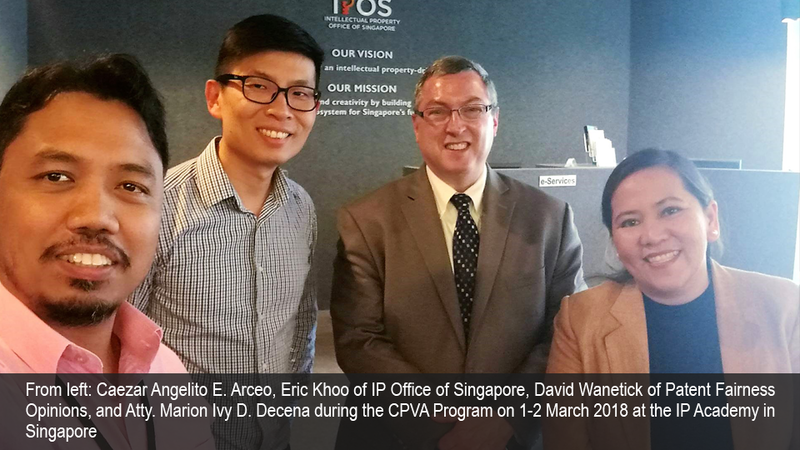 "The training is very essential for a patent practitioner especially in valuing IPs, patent in particular, and in revolutionizing the patent portfolio of DOST-TAPI," said Arceo. "Local trainings on patent valuation within the DOST and across the regions will benefit not only patent practitioners but every stakeholder in the Philippines," added Atty. Decena. "The CPVA Program is one of the major capacity building initiatives of the DOST-TAPI as the Institute pivots from a technical and administrative support agency to a major partaker in the country's technology transfer scene," said DOST-TAPI Director Edgar I. Garcia.